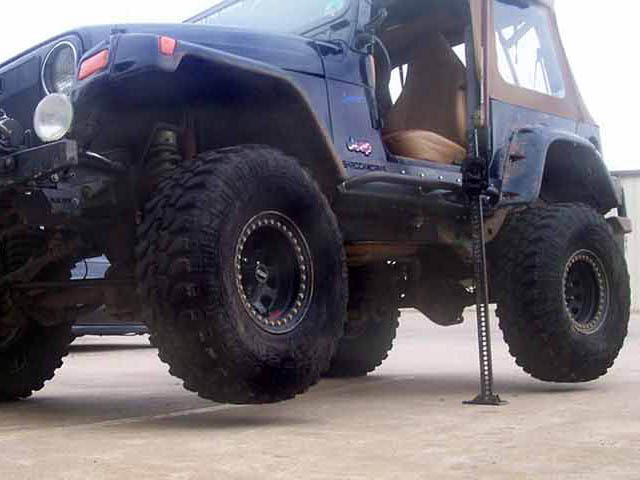 ShrockBars Jeep Rock Sliders. 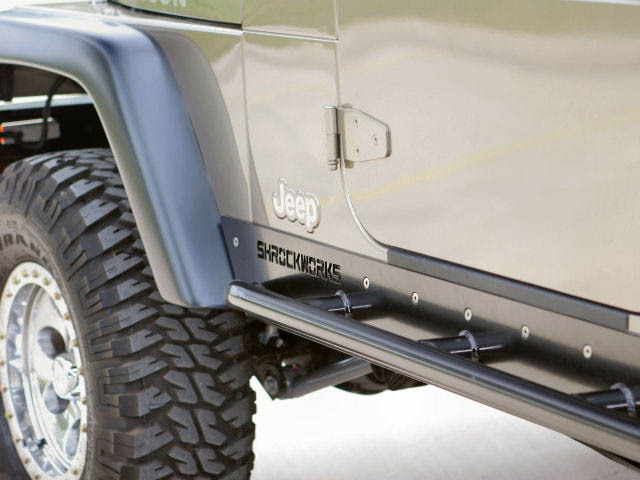 AKA: Rocker Guards, Rocker Protection & Rock Rails. 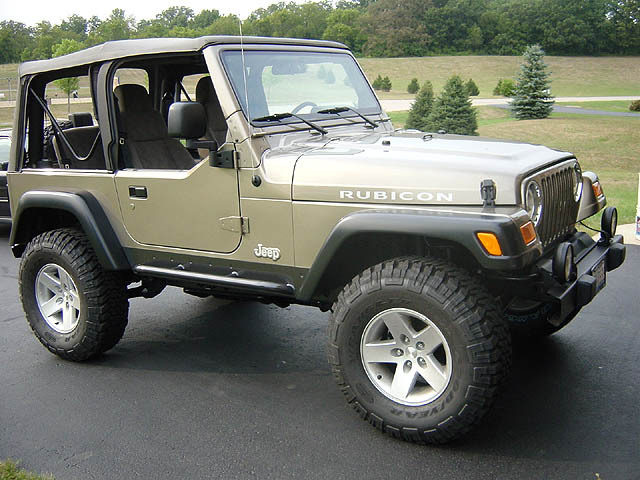 ShrockBars are the ultimate solution for for Jeep rocker protection. Nerf bars wont cut it offroad! 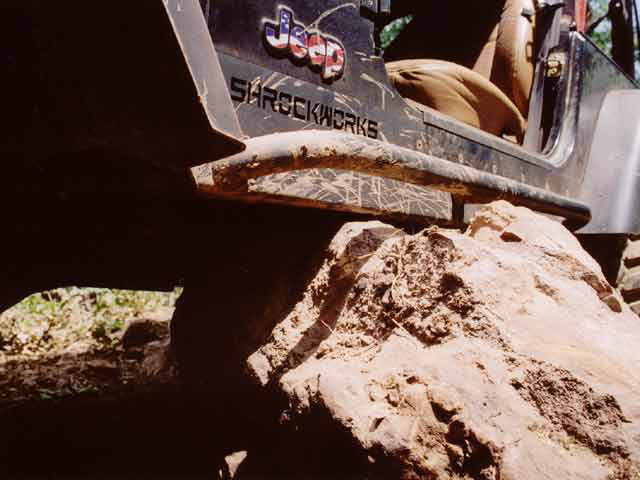 The most vulnerable area on any 4x4 while off-road is your rocker panels, especially if you're a rock crawler. ShrockBars rocker guards blanket them in 3/16” plate steel. You'll never worry about them again! 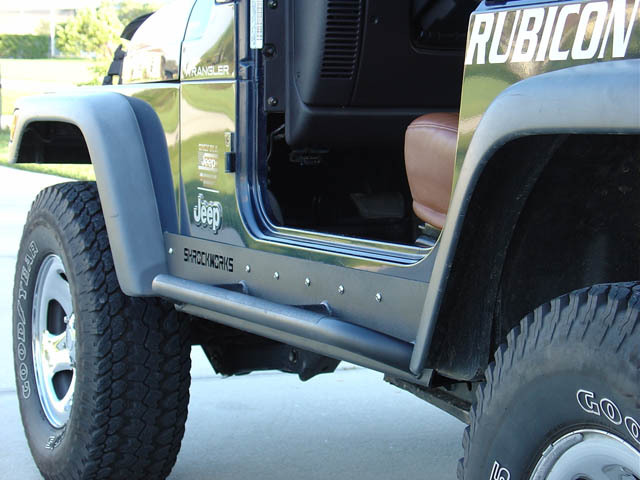 Shrockworks rock sliders look great on your Jeep too. ShrockBars Rock Rails are CAD designed, laser cut and bent on a CNC press brake for a precison fit. Six stainless steel bolts run the length of the rockslider to control vertical forces. Six additional bolts come up from the bottom through three large backing plates per side to clamp the slider tight to the reinforced floor. This provides a super-strong mount and eliminates the need for attaching to the body mounts. 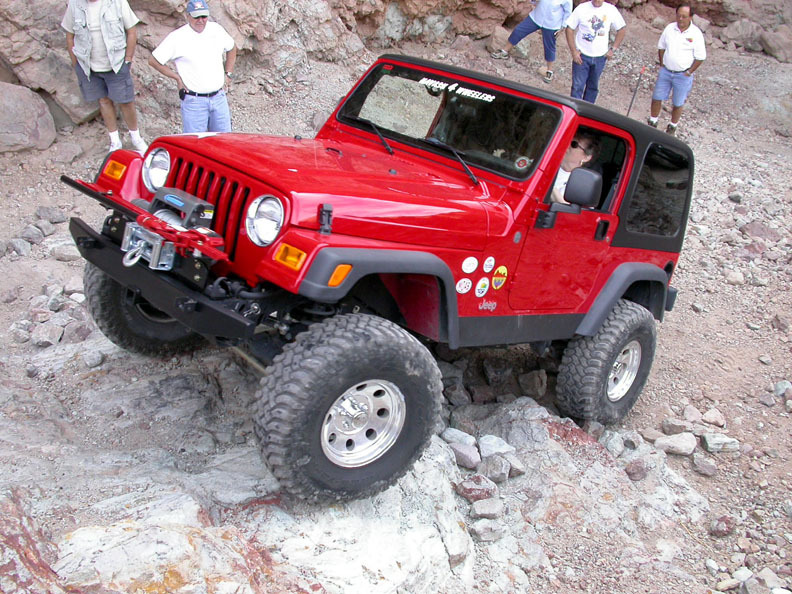 Unlike many TJ rock slider designs, ShrockBars cover the floor pan area behind the rockers fully! Don't settle for a rock slider design with tube welded on as as afterthought. Our rocker guards were designed from the ground up to be fitted with side tubes and withstand all the abuse you want to throw at them. 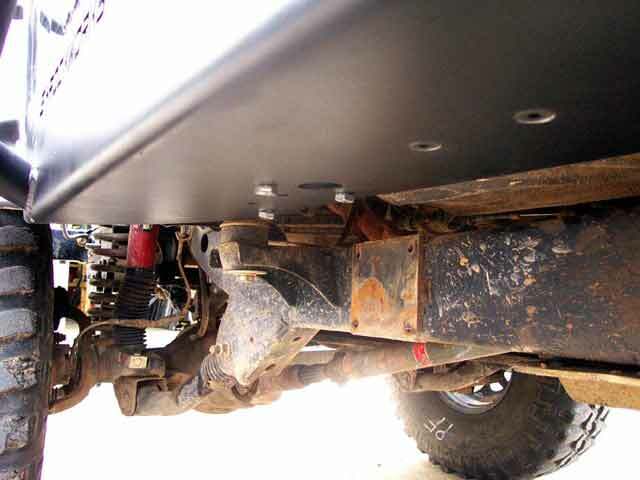 Shrockworks rocker protection for TJ, CJ, and YJ are all compatible with any size body lift without modifications. One other note, we don’t need to warn you that your rockers aren’t the only thing worth protecting while offroad. 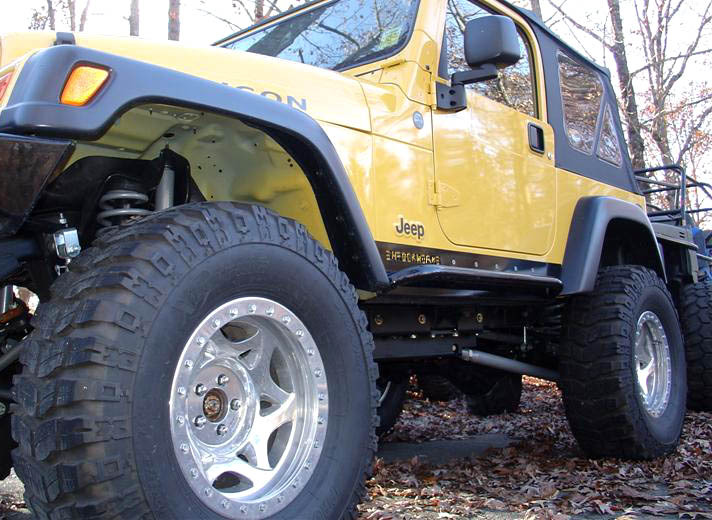 In addition to saving your rocker panels, our jeep rocker guards can also help save you noggin! 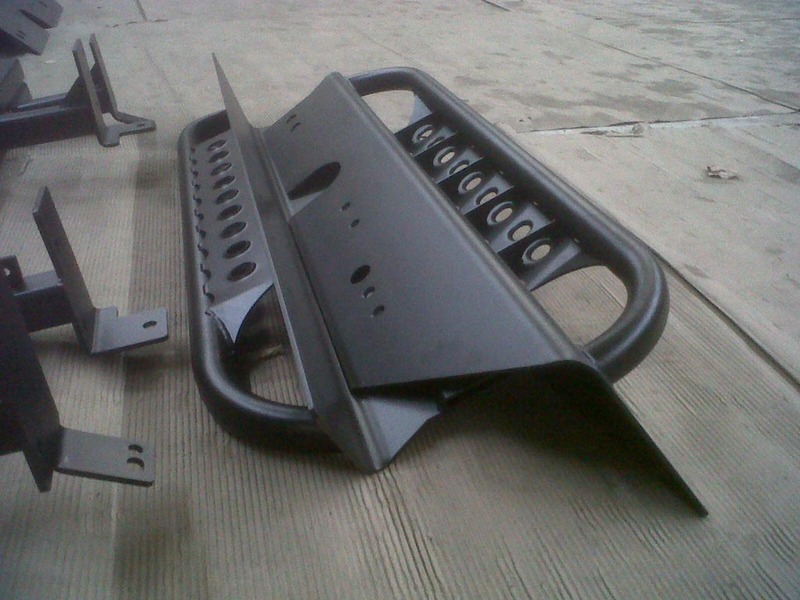 You can bolt the front mounting plate for your roll cage into the bottom of the sliders which will provide a much more secure mount than merely attaching it to the sheet metal of the floor pan. 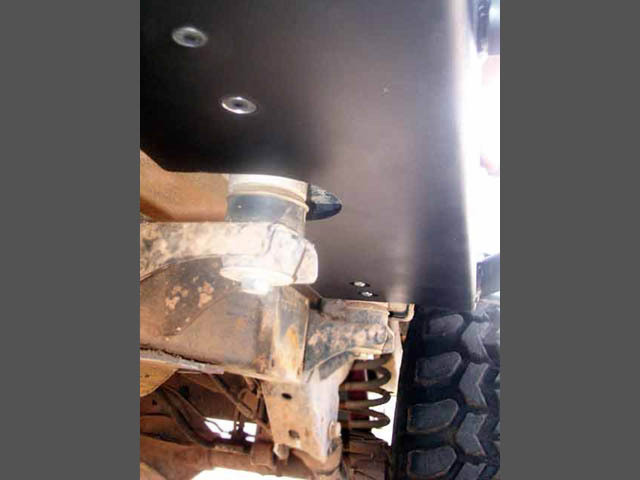 Many other rocker protection products only wrap a few inches underneath and do not allow this. The three bolt heads you see in the center of this picture ( view pic ) show how this was done on a TJ. 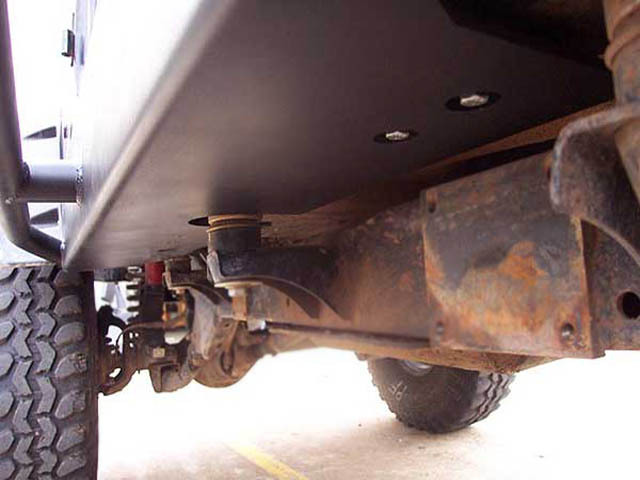 Installation can be easily accomplished by the average do-it-yourself Jeep owner. Installation requires only basic hand tools and a drill. Detailed instructions are provided. Awarded Moab Jeeper Top Choice for best in class! I can personally vouch for the design and toughness of this product. Two weeks after installing them on my TJ I managed a flop onto the right side. The Shrockbars held the weight of the Jeep off the rocks until I could get it righted. No damage. More recently I wheeled Poison Spider Mesa in Moab, UT, and managed to fall into the "Wedgie". If you've been there then you know this would normally do considerable resculpting of the right side of the vehicle. All I got was some cool looking new rash on the Shrockbars. So the score is Shrockbars 2, Rocks 0. That's my story. They come very well pkged, padded. The first thing you'll notice is how heavy they are! Second is the clean welds, and edges, very good attention to detail. Hate to be the guy who hits me. Man are these things stout. If I get broadsided, I pitty the guy who hits me. Great finish and great fit. I have to jump in here. The fit and finish of this product is outstanding. You'll think it was custom built for your rig. Everything lines up perfect, with smooth cuts and good looking welds. The install was so easy. Even with the heavier version on the Unlimited, I did the whole install myself with a floor jack. And sturdy? You'd think you were bolting a piece of battleship to your Jeep. It's hard to imagine an impact to these rockers that would bend them in any way. Finally a word about customer service. This is a GREAT company to do business with. Helpful, friendly, and reliable. I've been trying to tell you guys that ShrockWorks welds are bar none the best around! I was in awe and a state of disbelief when I say those welds. Last time I saw welds that good was for a certification test that required an x-ray to verify no hidden pockets and overall weld quality. Only a pipe fitter or machine can weld that good! My boy friend is a shrockworks junkie! 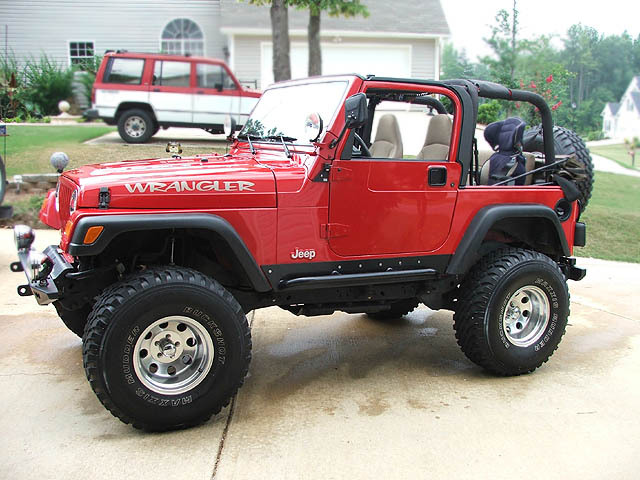 love your products, we have a 97 tj. Wow, these things are amazing. The welds and finish are absolutely perfect. And tuff, I could barely get them in the house when delivered. Bought a pair for my CJ in 2005, these are the BEST money can buy.All other companies are just copies!!! The toughness and superb design are un- matched. Able to Hi-Lift my CJ from the sliders is worth every dollar spent. Owner of a TJ now,these are the next item going on the JEEP. Thanks for a well thought out product. 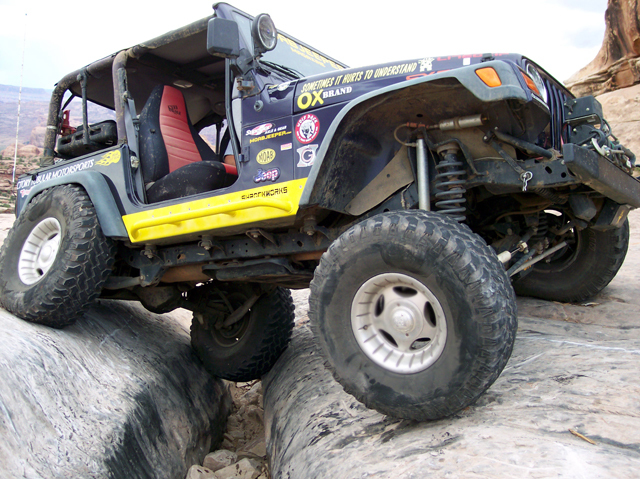 If your looking for solid rock sliders your search is over. The pictures don't describe how beefy these sliders actually are, once you pick one of them up it becomes very obvious. The installation and directions were also very clear and acurate. Just put these on last week. The attention to detail when designing/fabricating these was superb. Installation couldn't have gone any smoother. Directions were spot on. Still working on the build up, so I haven't gotten a chance to test them yet, but i'm not worried about them in the slightest. Now I'm just waiting on my front bumper to arrive. Thanks for a great product, Shrockworks! Customer service was excellent, the packing was very well done. Then the sliders themselves are very well built, perfect welds, and a excellent design. I feel comfortable in the rocks with these, they look to be indestructable.Its good to do buisness with a company that does what they say and gives a quality product. 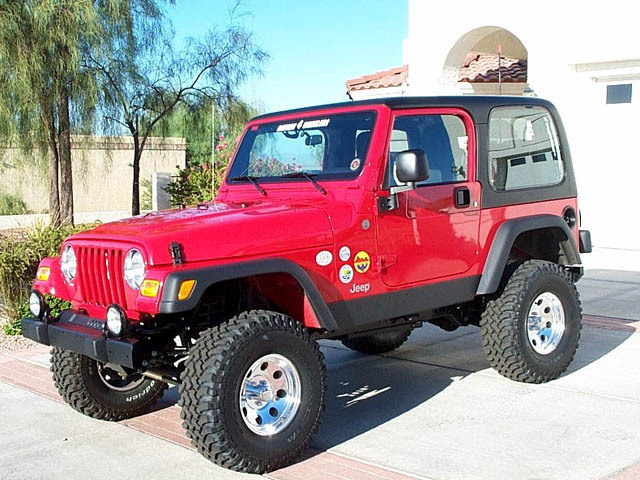 I'm the owner of the red jeep on your page (the one with the car seat in the back..hehe) Everyone loves the these sliders! The look sharp, Installtion was a breeze and you couldn't ask for a flawless piece of protection! You provided all the hardware as well as excellent instructions. Thank you for the great product. I live less than 20 miles from the Tellico ORV park, so I go to Tellico about twice a month during the summers. I installed the shrockworks rock sliders about 3 years ago and I was amazed at how easy they installed and how well they fit. I have the ones for a YJ with TJ flares and they look like they were custom built for my rig. I have HAMMERED them against rocks and trees on Slickrock and Schoolbus. A little sandpaper and a little gloss black paint and they look like new. I would hate to think what my jeep would look like if I didn't have them. They would have been cheap insurance at twice the price. Just finished installing the tube sliders on our Sahara TJ. What a great product, had them on in about 3hrs. No China junk here. Great instructions. Very happy with Shockworks. AAAA++++.